Paula Land joined Catherine McAuley Center (CMC) early in 2011 as our Executive Director. 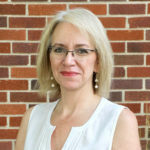 Paula is a graduate of Mount Mercy University and most recently held the position of Vice President of Operations and Organizational Effectiveness for Trees Forever. Paula has three children and four grandchildren. In her spare time, Paula enjoys singing and volunteering in the community. She considers herself a lifelong learner. Passionate about nonprofits, Paula’s excited to be back in the education and human services fields. 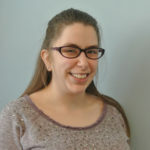 Marissa holds a BA in Sociology/Anthropology from Carleton College, and a MS in Nonprofit Management from Northeastern University. She joined CMC in 2014 after serving as a volunteer tutor and grant-writer. She is thrilled to have the opportunity to use her love of writing to support CMC’s life-changing programs. In her spare time, Marissa enjoys cooking, gardening, traveling, DIY-ing, and spending time with her husband and two children. Katie graduated from the University of Maryland with a B.A. in English and a Masters in Library Science. She began tutoring at CMC shortly after moving to Cedar Rapids and has volunteered in various capacities since then. In her role as Government Grants Coordinator, Katie is so happy to help grow the important programs offered by CMC. When not working, Katie loves spending time with her husband and two young children, reading, running, and visiting family and friends on the East Coast. Ny-Oka earned her dual Bachelor’s degrees in Accounting and Finance from Mount Mercy University in 2005. She is currently four courses away from earning her MBA from the University of Iowa. Ny-Oka has worked in both the non-profit and for profit sectors, but feels fulfilled in a non-profit organization. She has two sons, one in the US Air Force and the other in the Solon Community School district. In her spare time, she enjoys spending time with family and friends and attending her youngest son’s sporting events. Ny-Oka is passionate about Hawkeye sports and the Green Bay Packers. She is excited to be a part of the CMC team and eager to support the CMC mission. Ever since Katie got her first taste of international travel in high school, she has been very passionate about encountering and learning about all cultures and lifestyles. She majored in Business Management and German at Luther College, but took a detour to teach English in South Korea for two years. After returning, Katie joined CMC as a RefugeeRISE AmeriCorps member, having benefited from a helping hand overseas and wanting to pay it forward to new arrivals in our community. Following her AmeriCorps term, she has joined the administrative staff and is excited to be continuing to support CMC’s mission. Kelsey graduated from Olivet Nazarene University in Bourbonnais, IL, with a Bachelor of Science in Business Administration and a concentration in Not-for-Profit Management. She joined CMC in March 2015 after volunteering as a tutor since October 2014 and is excited to use her degree to support CMC’s mission. In her free time, Kelsey enjoys finding adventure through running, reading, and travel. Sandy joined our staff in January 2015 as our Systems and Facilities Manager. She was a computer programmer for 16 years before resigning to stay at home with their three sons. At that time, she volunteered at church, school, and with their youth baseball program. She is thrilled to be able to serve the staff and community at the Catherine McAuley Center! Lindsey graduated from Iowa State in 2018 with a BS in Nutritional Science. She chose to work at CMC as an AmeriCorps VISTA member because she loves the mission and hopes to use this position to alleviate poverty. In her free time, she loves to hike, camp, and watch movies. She also loves dance and has been a dancer her entire life! Noah graduated from Iowa State University in May 2018, where he studied political science, focusing on the Middle East and Russia. He joined the Catherine McAuley Center through AmeriCorps VISTA. In his free time, he enjoys reading and watching movies. His interests include learning and studying languages, international politics, cooking, and learning about new cultures. He’s excited to begin working with CMC and helping it achieve its missions and goals. Anne holds a B.A. in English from Coe College and an M.Ed. with an emphasis in Teacher Leadership from Mt. Mercy University. She worked in the healthcare industry for many years and taught in Barbados for two years. She is passionate about helping students and tutors create community through quality language learning and new educational opportunities. Anne believes all learners are teachers and all teachers are learners, and to that end, is inspired daily by the interactions she sees at CMC. In her spare time, Anne spends time with her close family, loves to write funny and slightly dramatic letters to all and sundry, and going out for great meals with friends. Mari holds a BA in Spanish and History from Coe College. After volunteering at CMC as a tutor, she joined the staff as the Education Program Coordinator in June 2017. While living abroad, she witnessed the power of education and language to cultivate supportive communities. She is delighted to work for an organization that respects the humanity of every individual while empowering people to greater opportunity and fulfillment. Outside of CMC, she can be found singing, gardening, and laughing with her large extended family. 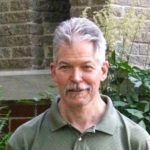 Stephen’s passion for teaching language led him to teach ESL in Mexico, Russia, Turkey, and the exotic land of Minnesota. Through his church, he learned about volunteering at CMC then came on staff as Tutor Student Liaison because “CMC gives people the means to a stable, good life. Who wouldn’t support that?” He has made friends in five countries he had never been to before and has written an unpublished novel. In his free time, he reads, walks, goes birding, watches old and new movies, and cooks. Angie is currently studying for a BA in English Language Learners Studies. She started volunteering as a tutor at CMC and loved it so much that she applied for a job! Her favorite part about CMC is meeting people from all over the world and with many different backgrounds. In her free time, she likes to care for her animals and volunteer in her church. She also goes on mission trips to Guatemala every year and plans to teach there someday. Achissa received her BA in accounting at AUCA (Adventist University of Central Africa) in Rwanda in 2000. She came to CMC in March 2015 as a student. She is delighted to be part of the education staff as an Assistant Education Coordinator because it gives women and men the opportunity to expand confidence and empowers them to be who they want to be regardless of where they are from. Achissa enjoys swimming, cooking, and spending time with her family in her free time. While studying for a BA in music at the University of Iowa, Katie accepted an Honors Fellowship in the Writing Center, where she discovered a love for tutoring. That led to teaching English Language Acquisition at Kirkwood Community College. Katie joined CMC in January 2016 and is excited to be part of an organization that empowers students by building their knowledge and skills. In her free time, Katie plays bass guitar, sings, and volunteers as a sound tech at Legion Arts’ CSPS Hall. 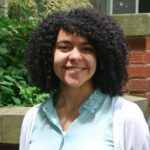 Shana joined our staff in September 2016 as our Program Coordinator. She holds a BA in Communication Studies from Iowa State University. She has a great passion for empowering and equipping people of all ages, from all nations and backgrounds. She has enjoyed living around the world including Turkey, Sierra Leone, Nigeria, and Minneapolis, and is happy to now serve people from many nations in her hometown of Cedar Rapids at CMC! Shana and her husband Moses, have two daughters and one grandson. In her spare time, she enjoys traveling, especially to her husband’s native country of Sierra Leone, spending time with her family, worshiping Jesus, leading Bible studies, teaching children’s church, and taking Zumba classes. Jacques is from the Democratic Republic of Congo. He left the Congo in 2007 and went to Zimbabwe where he lived as a refugee until moving to the USA in 2017. He’s currently a student at Kirkwood Community College, majoring in Human Services. He has a great passion for inspiring people to do well in their lives, which pushed him to volunteer in any possible way to help people. From 2016 to 2017, Jacques was helping to make uniforms for high school students in his refugee camp in Zimbabwe. He’s always been proud to see people progressing in their lives. That’s the only thing that makes him happy. In February 2018, Caleb came to CMC to work with and advocate for refugees and immigrants. 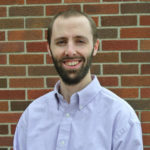 Caleb began working with refugees in 2011 and previously worked with refugees under Catholic Charities here in Cedar Rapids and in Louisville, KY. Caleb graduated from Faith Baptist Bible College with a BA in Biblical Studies/Spanish and from Southern Baptist Theological Seminary with his Masters of Divinity. Caleb studied abroad in Peru, Ecuador, and Japan. He enjoys time with his wife and keeping up with his 3 children. Caleb’s interests are eclectic – ranging from languages and cultures, history, politics, literature, science, ethics, and philosophy. He applauds CMC’s mission to welcome and empower our society’s most vulnerable. At CMC, Caleb works with new refugee families, gives refugees and immigrants a platform to speak, and brings people of disparate backgrounds together. 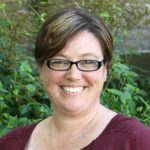 Lisa earned her BA in Social Work from Luther College and is currently completing coursework for her MSW through the University of Northern Iowa. She has 14 years of social service experience working with people around housing and mental health issues. Lisa came to CMC as an Intern through her master’s program and joined the CMC staff in December 2017. She is inspired by the passion of the CMC staff and the success clients find as they are supported and empowered by the intentional community environment at CMC. Outside of CMC, Lisa enjoys spending time with her family, exploring the outdoors and learning! Luke was born in DRC Congo, Africa. After he finished school, he went to work at Central Bank of Congo. In 1998, he fled the country to escape the government’s threat of violence, becoming a refugee. Once arriving in the U.S., Luke attended school in Utah. Luke has previously worked as a case manager for Ecumenical Immigration Refugee Services and supported CMC resettlement efforts as a volunteer interpreter before joining the staff. Hannah graduated from the University of Iowa in 2009 with a Bachelor of Arts in psychology and minors in dance and Spanish. Recently, Hannah has created a photography business and volunteered as a court-appointed special advocate, helping children in difficult family situations. Love for business development and helping children led her to the Refugee Childcare Program Coordinator position at the Catherine McAuley Center. Outside work, Hannah can be found at her son’s music and sporting events, making music, herself, or enjoying a yoga class. David is originally from the Democratic Republic of Congo, where he attended primary and high school. He then was sent to South Africa as a missionary, where he also completed his bachelor’s in Information Technology. He migrated to the U.S. in 2014, met his soulmate in Boston, Massachusetts in 2015 and married her in 2016. In 2018, David had his first child, and also became an ordained pastor. David is very excited to join the team at CMC, coordinating and providing transportation. Leya is working on receiving her BA in psychology from the University of Northern Iowa. She came to work at the Catherine McAuley Center through the RefugeeRISE, Americorps Program. She enjoys singing and volunteering in the community. Her parents took English classes at CMC when they first came to the United States. She is excited to get to impact people in the same way that her family was impacted. 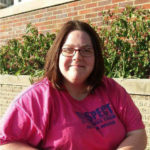 Natasha is currently a student at Kirkwood Community College in the Human Services program. 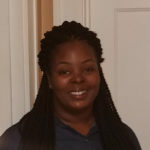 She began working at CMC as a RefugeeRISE AmeriCorps summer program member, but after having a great experience with CMC, she decided to stay and do a one-year program. She supports CMC’s mission because of what she sees them do for those in need. As a future social worker, she thinks that CMC’s mission represents some of what she will be doing in her future career. She also wants to help other people to be successful in life. She believes that supporting CMC’s mission will help her to achieve her goals. She’s proud each time she helps people meet their goals, such as by helping them to find jobs. She likes to read, watch TV, and play with her kids in her free time. She has four beautiful children and a very wonderful man in her life. She loves her family and the people around her. Julie grew up in Zambia most of her life, and attended boarding school in Kenya. She returned to the United States for college to study global studies and French at Spring Arbor University in Michigan, where she also spent four years working in the study abroad office. Julie studied abroad for a semester in Strasbourg, France, where she studied language, culture, and French society. Julie has volunteered at an internally displaced persons camp in Kenya and recognizes how difficult it is to settle on a new continent. She is excited to be working with refugees to help with their transition to life in America. In her free time, Julie loves to travel, read, check out coffee shops, and play board games. Her family is still spread across the globe and she is excited for her Zambian sister-in-law and nephew to come visit the States! Lewi was born in Burundi and came to the U.S. with his family as a refugee 14 years ago. Lewi attended and graduated from Washington High school in Cedar Rapids where he participated in track and cross country, earning him a full scholarship to college. Lewi was recognized as Gatorade Athlete of the year and won several national championships during his college career in track and cross country. After college, Lewi pursued a bid to represent Burundi in the 2016 Olympic games in Rio. Lewi is excited and looking forward to serving at CMC to help fellow refugees strive to build a better life. 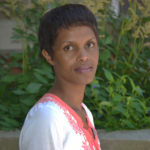 Lemi was born in Ethiopia and raised in Cedar Rapids. 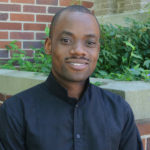 He is a graduate of George Washington High School and Coe College. Before joining CMC, Lemi was an active leader and a strategic communicator in legislative affairs, serving as a congressional aide to Iowa Senator Tom Harkin and then in a civil service post at The White House. In 2017, Lemi returned to Cedar Rapids to address issues such as a disconnected youth population and lack of civic engagement across diverse communities. He launched a campaign for Mayor of Cedar Rapids, and, while not elected, the campaign imparted in him a renewed understanding of service and the values of organizing a community of people to achieve a common cause. Lemi is excited about the opportunity at CMC to help new Iowans integrate into the community and make Cedar Rapids a wonderful place to call home. 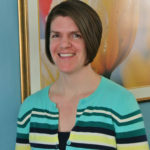 Jennifer joined the Catherine McAuley Center as Housing Program Manager in 2008, and has used her 18 years of experience in social services to implement Female-Responsive programming in CMC housing services. Jennifer is proud to be a part of a mission-driven organization like the Catherine McAuley Center and feels privileged to be in a role in which she can help create a safe and supportive environment that allows women to realize their own potential. 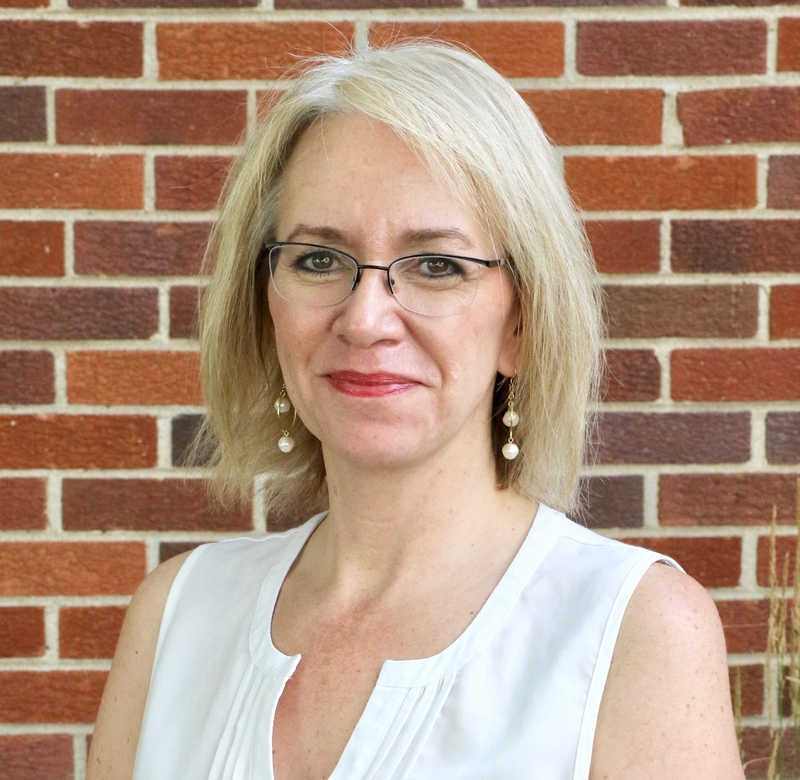 In her free time Jennifer finds creative ways to be an advocate for women throughout the state, and organizes community groups and female-led initiatives that allow women to connect and find their voice. Tracy graduated from Kirkwood Community College with an AA in Law Enforcement and a BA in Sociology and has a minor in Spanish from the University of Iowa. She is in her final semester at St. Ambrose University, working toward her MSW. Tracy returned to work at CMC because working in a gender-responsive program is a passion of hers, as is helping empower people who face adversity. She loves to read, cuddle with her two dogs, and spend time with her boyfriend, Will. Tara loves what CMC stands for! Second chances are hard to come by and CMC provides a chance to do good no matter who or what a person is. She graduated from Le Cordon Bleu Culinary School in Scottsdale, Arizona with her AA degree in Baking and Patisserie. Her passion is feeding people whether that would be a comforting meal or knowledge from what her past has taught her. No matter what, she is always willing to help if she can! Angela is a student at Mount Mercy University in the Social Work Program, set to graduate in May of 2019. She completed her first field placement in the Transitional Housing Program at CMC and transitioned to a staff role afterwards. It has always been important to her to help people connect to resources and educate people on how to access the resources they require. This can help a person change or improve their life. Angela is most proud of finally going back to school to complete her Bachelor’s of Social Work. She has waited 14 years for this moment! In her free time, Angela enjoys listening to music and spending time with her family. She has a large family with three sons and three daughters (including a set of twin girls). Presley is originally from the Cedar Rapids area, but has spent the last four years going to school and working in Indiana. She graduated from Indiana Wesleyan University in April with her Bachelor of Social Work degree. She’s currently pursuing her Master of Social Work degree at the University of Iowa. She has previous experience working at a residential treatment facility for teenage girls struggling with mental health issues. She is very excited to be back in her hometown and to be able to give back to her community through her work at the Catherine McAuley Center!